This gel is very alkaline, but safe. Here’s the story: The pHenomenal Water inventor created Spencer’s Gel when he saw his friend’s ugly skin on his leg. He had had it for 2-1/2 years. He “racked his brain” trying to solve the problem. But then it hit him … Acidity starves the surrounding skin of oxygen causing unsightly skin. This is how his logic went: If your skin is producing too much acidity and looking ugly, what if you are able to put something that was massively alkaline on the same area? The gel removes the acidity, supporting beautiful skin. The time frame is different for everyone, depending on how much acid is in your skin. You will be surprised at how fast Spencer’s Gel does its thing! The active ingredients are: proprietary high alkalinity concentrate (non-caustic), thickening agent, organic lemon oil and 5% isopropyl alcohol to keep it from spoiling. 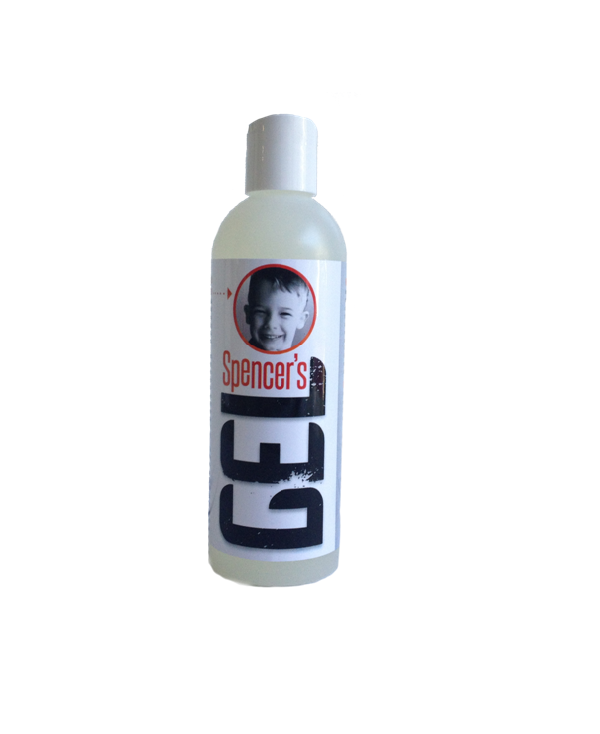 Keep in mind that Spencer’s Gel is pHenomenal Water placed into a medium that will stick to the skin. You can likely get the same results by placing pHenomenal Water into a spray bottle, but you would have to keep spraying (pHenomenal Water evaporates) because it needs to stay wet to work. I mention this for those allergic to isopropyl alcohol.